MY TRUE PASSION LIES IN THE POWER OF CHINESE MEDICINE & THE FIVE ELEMENTS, AS A WAY OF TAPPING INTO THE TRUE NATURE OF MY PATIENTS. I GIVE YOU THE SPACE & PERMISSION TO BE YOUR TRUE SELF, WHILST ENSURING BALANCE & AN ABUNDANCE OF ENERGY WITHIN YOUR ELEMENT, SO YOU CAN LIVE FROM THIS PLACE OF STRENGTH. Hello, I’m Rhiannon. I am a traditional acupuncturist & element coach. I work with successful & driven, hard workers, who have busy schedules that can take their toll on bodies, emotions & stress levels. Does this sound like you? I can help you to live from a calm, healthy & empowered space, by tapping into your innate energetic strengths, in a balanced & harmonised way, with acupuncture &/or coaching. I have just THE most gigantic passion for Five Element Acupuncture, & have experienced first hand how life-changing this type of acupuncture can be in terms of really clicking you back into yourself again, particularly if you have been suffering with pain, illness, overwhelming emotions, or high stress levels for a while. I know what it feels like to be in this space, & how scary it can be if you’re in it alone. During my time in the advertising industry, I suffered with recurrent tonsillitis every other week, I had migraines, I was exhausted, miserable, depressed, anxious, stressed out & emotionally all over the place. My body was screaming out that I was not in the right place for me, but also that I needed extra support. I had acupuncture to boost my energy, calm my fears, get my body healthy again, but most importantly, to connect me back to my true self – what I wanted from my life, what my purpose was on this planet. I also valued the sacred space in which to talk about all these things in the treatment room. This is ultimately what led me to retrain as an acupuncturist (& later on, as a coach). You can read more about it in my FREE ebook, here. Because I know EXACTLY how it feels to need that extra support, I use both both modalities, separately or in combination, to help bring calm, balance, wellbeing, clarity, forward movement & more connection to yourself. I have a special interest in the holistic treatment of emotional issues within the context of the individual patient. For me, as an acupuncturist first & foremost, it’s all about the flow of energy or Qi – which is why Co-Active coaching has become such a natural & seamless addition to my clinical practise, as it too focuses on getting in touch with the movement of energy within your body, what FEELS good in your life & what doesn’t. Situations, thoughts, people, challenges, emotions, & so on, all have different energies. Different energy moves differently in our bodies & has different impacts upon us – our immune system & health, levels of physical pain, our happiness, our wellbeing, balance & fulfilment. I have been able to use my acupuncturist’s Five Element structure, alongside CTI’s Co-Active model, to really see that our natural ways of being, our default settings, our energetic norms – in other words, our Element or CF – can get in the way of our dreams, our potential, our health & our happiness. It allows me a short-cut to understanding where your individual blocks or sticking points might be – both in the context of acupuncture, &/or coaching. Acupuncture moves & boosts energy with needles, to create harmony within the body; coaching moves energy with talking, physical movement & powerful questions, to move you towards balance & fulfilment. That is why I want to work with people like you, so we can work with depth & insight into what’s going on for you right now, on every level… We can look at what habits, behaviours, blocks or emotions are stopping you from living your best life. And you won’t be doing it alone – together we can bring balance & power back into your life – are you ready? Rhiannon Griffiths is a member of the British Acupuncture Council (MBAcC), and a graduate of the esteemed College of Integrated Chinese Medicine, Reading. She has also served on the British Acupuncture Council’s Student Services Committee, providing an important link between acupuncture’s regulatory body and the teaching institutions. She is part of BBC Radio Oxford’s team of health experts, & has featured in the UK national newspaper The Daily Mirror, as well as national magazines including Zest, Top Sante, Natural Health Magazine, Woman, OK Magazine, Reveal, Women’s Fitness Magazine. You can read these articles or listen to the broadcasts here. She is the go-to acupuncturist for the media, celebrities & the general public. Whilst treating a broad range of conditions, through an integration of TCM (Traditional Chinese Medicine) and Five Element acupuncture, Rhiannon has a special interest in the holistic treatment of emotional issues within the context of the individual patient. Qualification as an acupuncturist in the UK requires comprehensive study in both Conventional Western Medicine and Traditional Chinese Medicine (TCM) or Five Element Acupuncture. 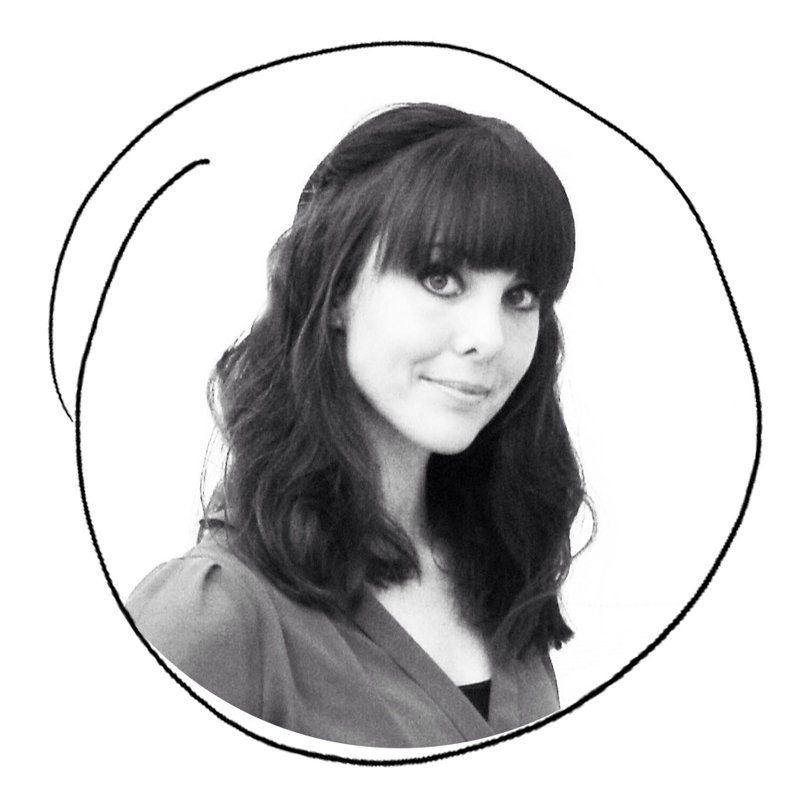 Rhiannon has a BSc (Hons) in Acupuncture, having studied an integrated approach for 4 years; she also has a licence to practise acupuncture (Lic Ac) and a diploma in Paediatric Acupuncture (Paeds Dip). She is currently based in Thame, Oxfordshire and Princes Risborough, Buckinghamshire. Continuous Professional Development (CPD) is mandatory requirement of the British Acupuncture Council. Rhiannon has undertaken further training in Five Element Constitutional Diagnosis, Chinese Dietary Therapy, Understanding IVF (Chinese Medicine & Assisted Conception), Treating Interstitial Cystitis, and Cosmetic Acupuncture (Skin Conditions & Facial Rejuvenation). Plus, treating addictions (smoking, alcohol, overeating, drugs) with auricular acupuncture, & addressing mental health problems, anxiety & depression. Rhiannon is a qualified Co-Active coach, having trained with the Coaches Training Institute (CTI). She offers one-to-one coaching to national & international clients via skype. 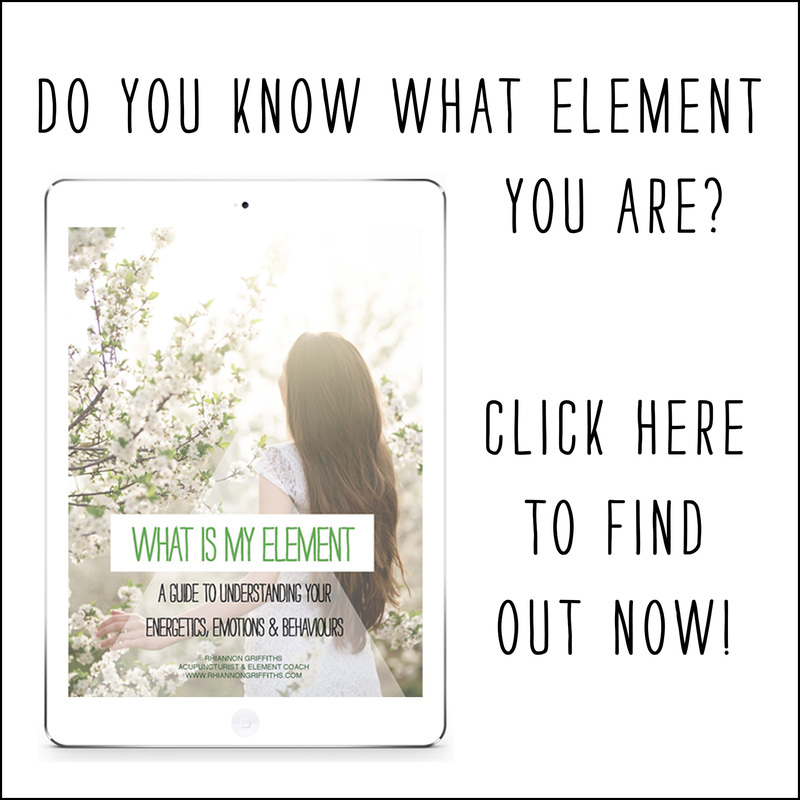 Have you downloaded your copy of my FREE ebook, “What Is My Element? A Guide to Understanding Your Energetics, Emotions & Behaviours” yet? Do you know which of the Five Chinese Elements might be your default setting? Do you know what set of emotions & behaviours are just part of your energetic make up? And do you know how to harness the power of your Element to live a healthier, more balanced & happier life? Read more about it, and what others have to say about it HERE, then click to download your copy! Read the national press articles I have been featured in, listen to me on BBC Radio, or watch me on video HERE. Don’t forget you can follow me online via Facebook, Twitter, Instagram & YouTube – I’d love to see your face over there!